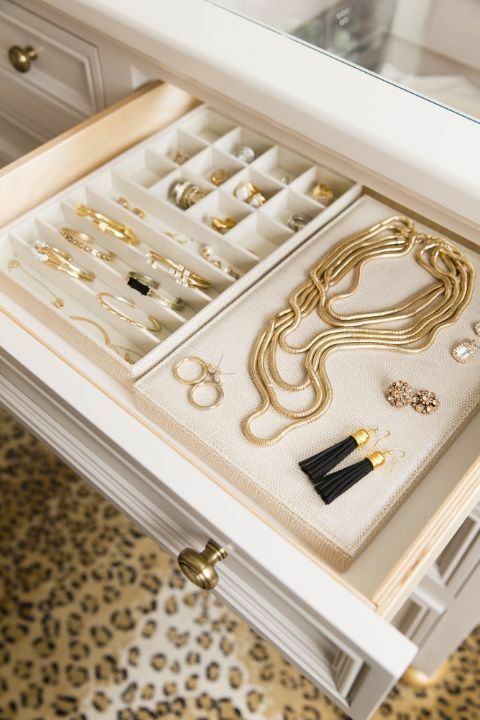 DPA: Do you prefer a single box; a drawer lined with trays, pocket organizers that hang in a closet, or other ways to keep jewelry safe and at the ready for accessorizing outfits? And why? KK: I prefer drawers lined with suede or any other non lint producing fabric, like felt or linen. Adding compartments that can divide all of your pieces for optimal organization and storage. You want your layout to be dust free, provide an ease of access and viewability for all your pieces. 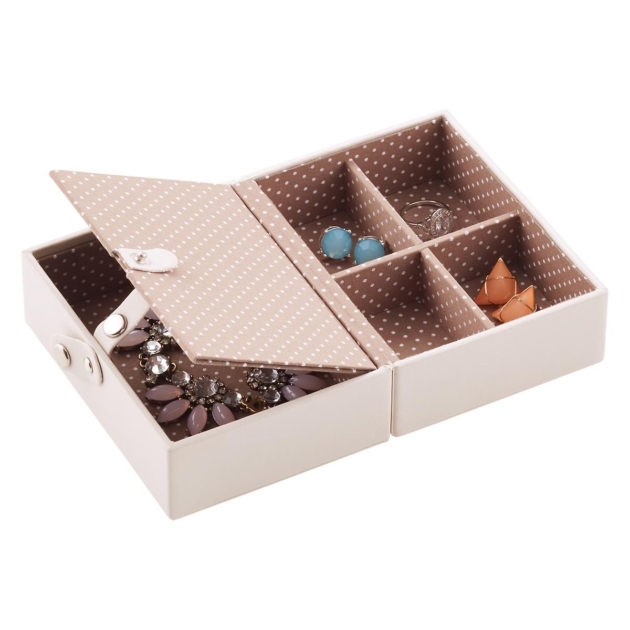 Suede-lined drawer compartments keep jewelry neat and dust-free. DPA: How do you prevent delicate chains and other pieces from getting tangled, which can really slow you down when getting dressed in the morning. KK: Using the tips above will help in avoiding any tangling or clutter of your pieces. (Editor’s note: You can also try special organizers like the one below). DPA: in your experience, what is the no. 1 mistake people make when storing jewelry? And what do you recommend instead? 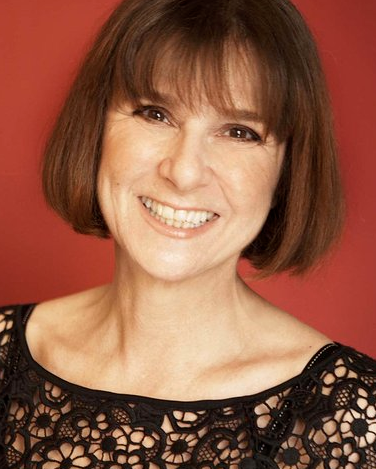 KK: The biggest mistake people make is not organizing or categorizing their pieces properly. I recommend storing all of your earrings together, rings together and necklaces separately. When planning a head-to-toe outfit in advance or for traveling, removable trays that are able to store all the individual pieces that make up the full look, can make getting ready that much quicker. 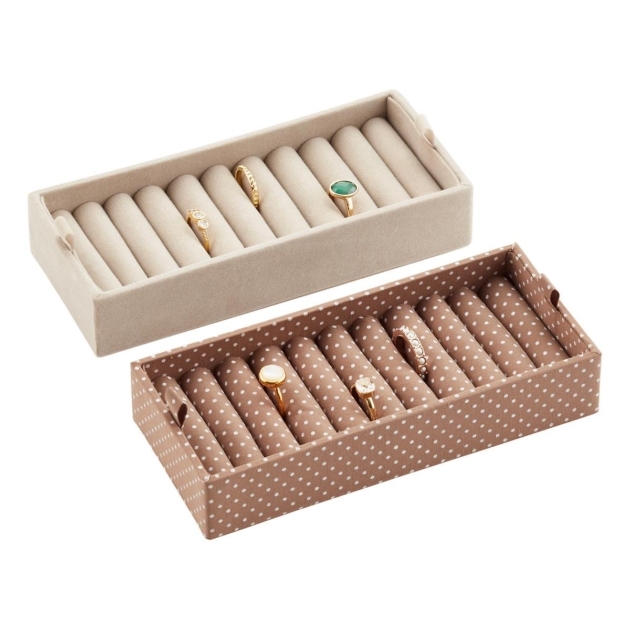 DPA: Are there any particular jewelry storage products you prefer and why? KK: Custom-designed jewelry storage pieces through Jewelry Display of NY is the best of the best. Custom is the way to go. Jaya came to my client’s home, assessed the needs and designed a beautiful one-of-a-kind piece that fit all of her needs. 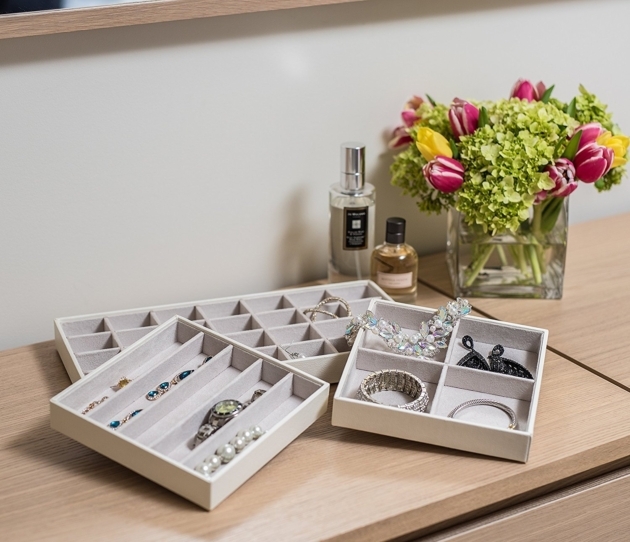 The Container Store also sells trays and inserts to aid in converting your current space for jewelry storage. 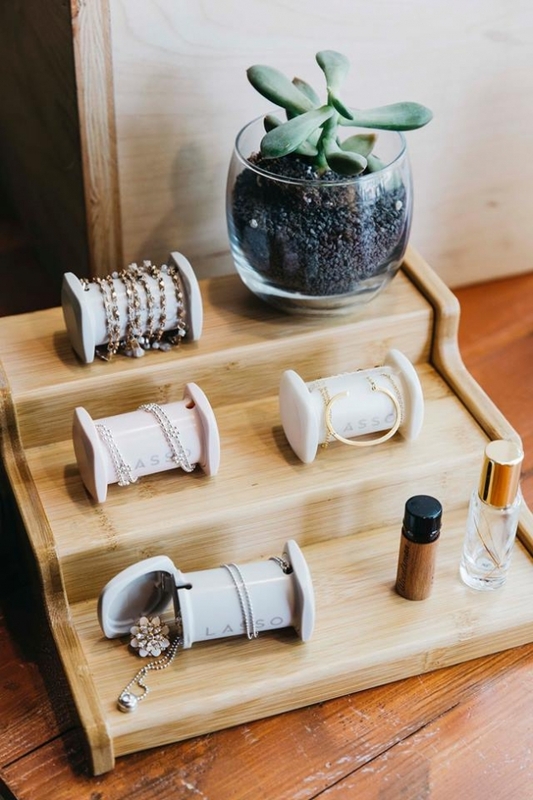 Choose modular trays according to your needs, like these ring holders, to create your own custom system. DPA: Do you have any maintenance tips on keeping say silver pieces from tarnishing? Diamonds and gemstones sparking? Or general jewelry maintenance tips we may not think to do? KK: Yes. Store all silver in their anti tarnish felt bags. Personally, I am not a fan of jewelry cleaner, so I recommend finding a credible jeweler and have your pieces steam cleaned periodically. DPA: We go through closets and resell/donate clothes that no longer fit our bodies or lifestyle, should we periodically do same with jewelry? And what’s the best way to approach reselling any good stuff? KK: My moto is to make it wearable! If something is sitting in a vault or at the bottom of your jewelry box, I recommend having it refurbished into a design you will wear by a credible jeweler. Or pass it on to a loved one or sell/trade it in for a piece you will wear and love. The Real Real and First Dibs are both wonderful platforms for selling both costume and high end pieces.